Arpit Tigga in Devgain, Jharkhand has a new lease on life. He finally has more freedom to move on his own. 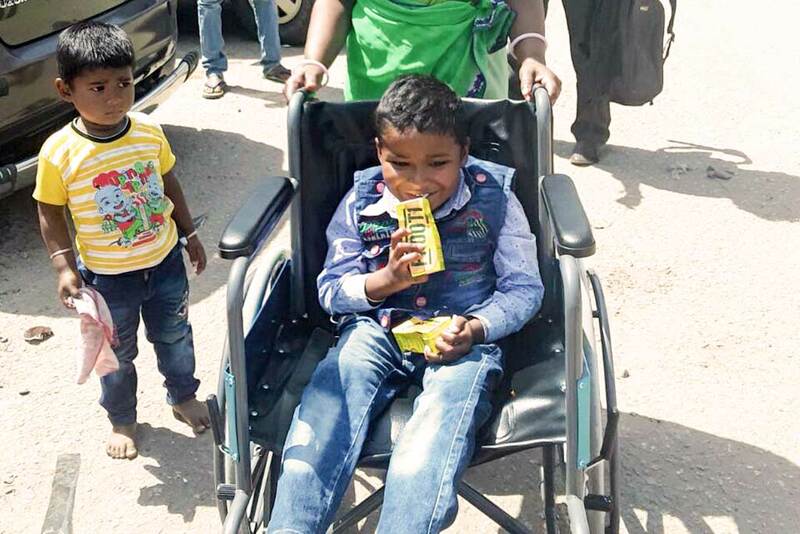 Arpit is seven years old and has a disability called Spina Bifida. It occurs when the bones of the spine (vertebrae) don’t form properly around part of the baby’s spinal cord. As a result, Arpit is permanently paralysed from the waist down. But now the donation of a wheelchair by one of Amma’s devotees from Germany, Michael, gives Arpit the ability to see more of the outside world. His mother will not have to carry him around on her back. Heading to school has become a completely new experience for Arpit. Sohraj Sowasi is another resident in Devgain who is celebrating the same. 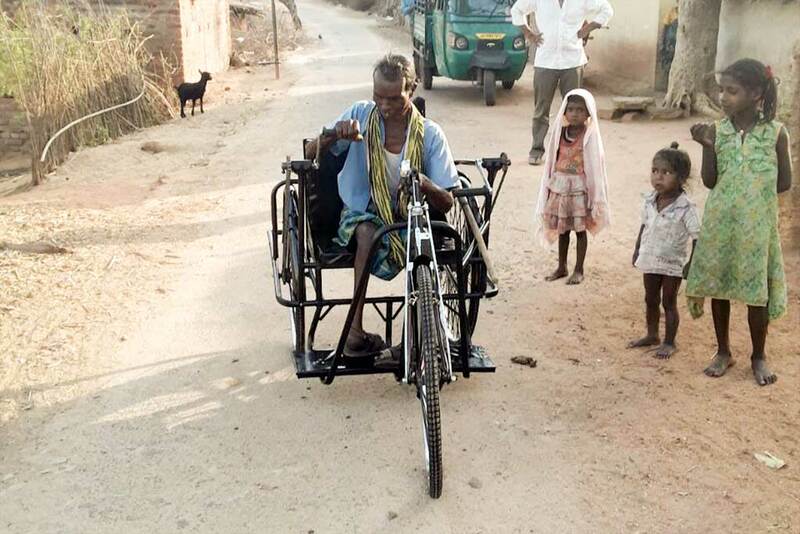 Sohraj has clubfoot, but now thanks to Michael’s kindness, also has a new wheelchair. Sohraj’s is something interesting in its different mode. It is in the style of a rickshaw.